Let Us Help Keep You on the Water! In addition to the our the large variety of well-priced boats we offer, we’re also here to help with parts, service, routine maintenance, engine upgrades and more. Offshore Marine is your one-stop shop for everything you need to keep your boat or yacht moving and in top condition at all times. For over 35 years, Offshore Marine has serviced thousands of boats from throughout the Caribbean as well as those whose home ports are in the US and Europe, among others. Let us help you prepare your boat or yacht for safe, worry-free travels, so you can enjoy all that a boating lifestyle has to offer. Besides having a lot of experience in their fields, and providing world-class customer service, all of our technicians are factory trained and certified. We are all here to help you find the parts you need, maintain your service schedule, and boat in safety and comfort every day. 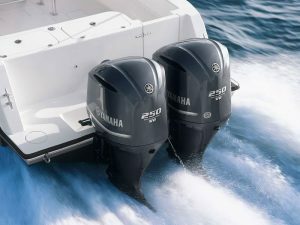 We are passionate about boats, and we are trusted for quality service. Contact us and let us help you outfit, repair or service your boat or yacht today!